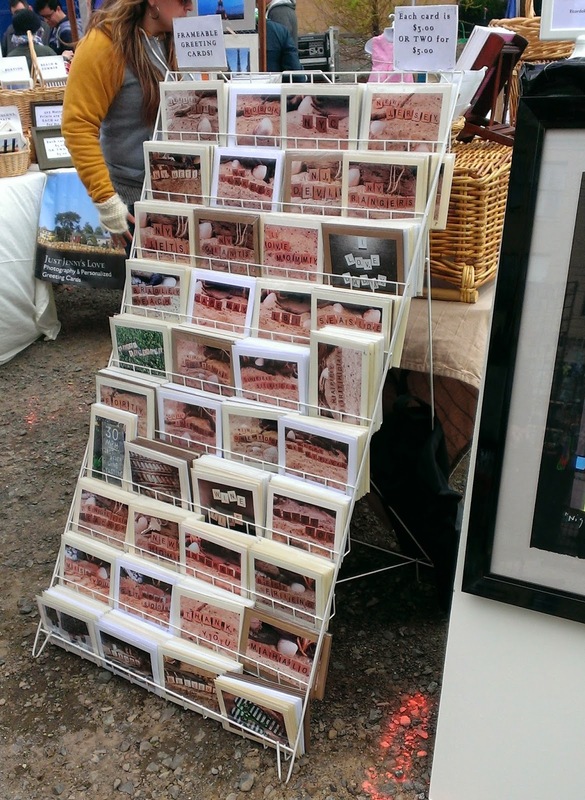 Event Recap: 6th Borough Market is Back! Besides Project: Earth, this weekend was also the official reopening of the 6th Borough Market! Held once a month, the 6th Borough Market is a family-friendly outdoor market that focuses on vintage and handmade goods of all kinds with an emphasis on fun and community. It's amazing to walk around the market and just look at the physical evidence of people's creativity and hard work. There was lots of jewelry, some really interesting art, baby goods, and several booths where I could easily see myself picking up a gift or three in the future. And of course, there was some excellent food. Amongst the options, there was Choc-O-Pain with bread and sweets, Iced Tea Fusion - a newcomer to the market, Milk Sugar Love and Jersey City Veggie Burgers were both there for their second day of markets, as was Incrediballs, and several other new and familiar faces. 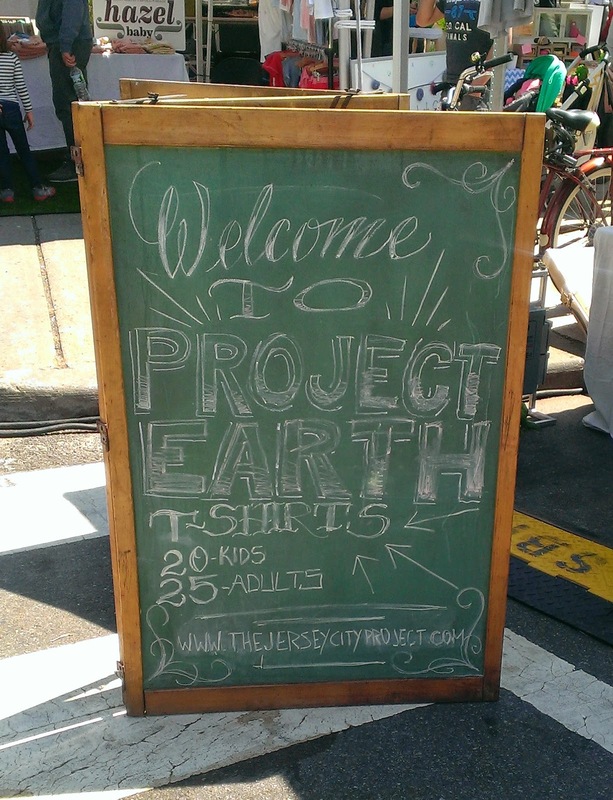 This past Saturday was The Jersey City Project's first event of the year, Project: Earth, and it was fantastic! 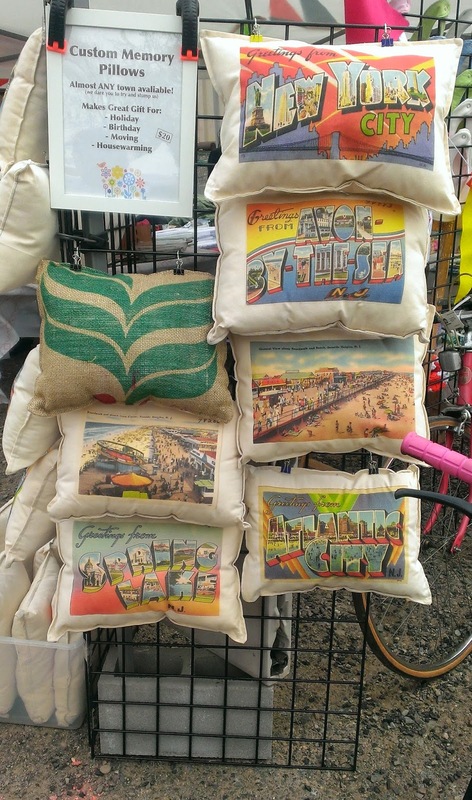 Besides giving me my first sunburn of the year (a sure sign of spring), the event also had tons of people, dozens of vendors from Jersey City and beyond, and lots and lots of delicious food. Showcasing small and local businesses around Jersey City, the outdoor market had a heavy focus on earth-friendly items and products including organic bath items, reusable bags (I ended up picking up a pack of the produce ones), planting, and eco-friendly living, including a big Stop The Drop art project as part of the city's campaign against littering. These are just samples of everything that was there. Jersey City has a new bubble tea shop coming to town! The Big Straw will be moving into 276 1st Street, right off Jersey Avenue and they are currently hiring. If you want to get a preview, check them out at Groove on Grove, May 7th. Speaking of hiring, Thirty Acres is looking for experienced bussers for weekend dinner and brunch shifts. Email them at info@thirtyacresrestaurant.com to apply. Sam a.m. and Satis Bistro both debuted new spring menus this week! Sam a.m.'s menu features some new sandwiches including a shrimp po'boy and Satis Bistro's dinner menu now includes a number of spring produce based dishes. Trying to plan your weekend? I hope you're not planning on being anywhere other than Jersey City because there are two major events celebrating creativity, unique finds, and shopping local happening this weekend and you do not want to miss them. Besides the extraordinary array of product and design vendors being showcased, both events also have amazing food line-ups to keep you satiated as you shop. And let's be honest, for most of us me, that's really the major draw here. Knowing there's delicious food to be had and really cool things to look at? There's no turning back now. First up, on Saturday 4/26, The Jersey City Project will be bringing Project: EARTH to City Hall from 11am - 6pm and this one promises to be even bigger and better than December's Project: Market (which was already pretty great). The newest food truck to hit Jersey City, Mordi's Food Truck, posted a picture online of their schnitzel-based menu. The early bird deadline for a Journal Square CSA is tomorrow so make sure to sign up now! They have fruit and vegetable shares available . Welcome in the warmer weather with this recipe from NJ.com for tropical cocktail Pinta, a favorite at Jersey City's Maritime Parc. Liberty Prime Steakhouse recently added local brewery New Jersey Beer Co. to their tap list and will have a rotating seasonal selection. In honor of Easter weekend, there are some events around Jersey City you may want to enjoy no matter how or what you celebrate! First up, keep in mind Tea NJ will be closed for Good Friday 4/18, and will reopen for standard business hours on Saturday. Sam a.m. will be open today and tomorrow, but will be closed on Sunday. 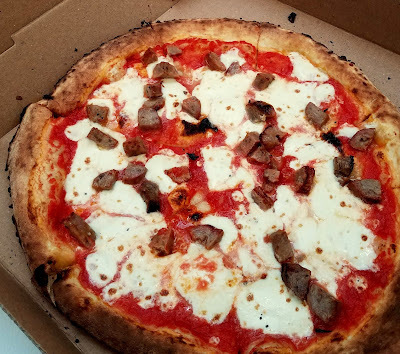 Rustique Pizza will also be closed on Sunday. So far, those are the only closings I've heard about, but I'll update if/when I hear any more and if you know of any, please let me know! Cocoa Bakery will be open until 3pm on Sunday if you need some last minute treats including their Cream Puffs! Stop by early to grab some because they are only offered a few times a year. UR Prime, the locally sourced butcher shop that's part of Union Republic, has a lot of easter lamb specials going on if you want to cook up a feast at home. If you'd rather go out than stay in, don't worry, Jersey City has that covered too. Jersey City is the Place To Be! The Jersey City restaurant scene has once again landed us on the map! 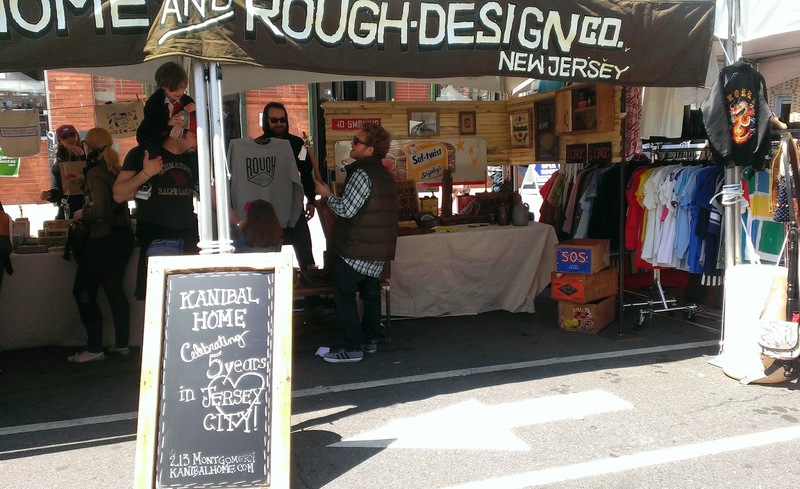 Zagat recently put out a list of 7 great reasons to visit Jersey City. Although I am sort of surprised Talde made the list since it's not actually built yet, I'll agree it's definitely something to look forward to. As most of us know, we do have a lot of great food and great restaurants in Jersey City and I'm glad so many of them are getting the attention they deserve. Thirsty Quaker now has fresh vanilla beans on sale - good for brewers and bakers alike! Choc O Pain is now offering a vegan sandwich, full of spring flavors. The Hamilton Inn will be closed tomorrow, April 14th, for some upgrades but back open Tuesday at 11:30am for business as usual. Satis Bistro is having a bourbon tasting on Tuesday 4/15 at 8pm. Four bourbons plus hors d'ourves for $45/person. End Tax Day the right way. Congratulations to Thirty Acres on celebrating two very successful years of being open! Downtown Yogurt recently added a couple of delicious-sounding toppings: cotton fizzy candy and cannoli cream. Anyone given these a try yet or have combo recommendations? This Tuesday, April 8th, join the Van Vorst Park Association at Brightside Tavern to help support their fight against the Bright & Varick Micro Unit Development. It's $20 at the door, beginning at 7:30 pm and there will be an appetizer buffet and happy hour specials all night. A new restaurant, O'Lala Empanadas on Communipaw Ave had their grand opening this week. I haven't been yet but can't wait to try them out! SPECIAL ALERT! LIMITED TIME ONLY! This past week, as part of Left Bank Burger Bar's burger battle, Jersey City Veggie Burgers came up with a special new veggie burger! And it sounds AMAZING. Jersey City has countless corner stores, bodegas, etc. but most of them blend together into nameless spaces that merely fill a need. 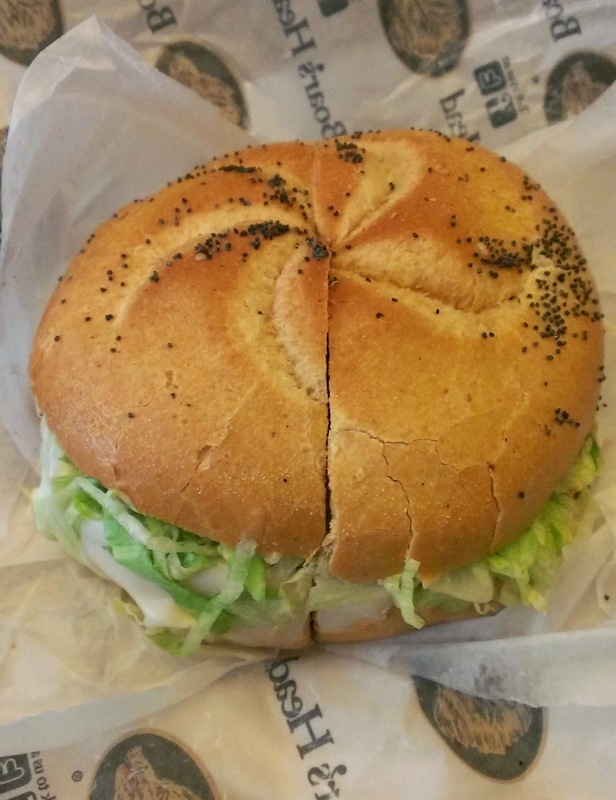 Few stand above the rest, but one of those few is Dixon Deli. Dixon Deli, named for its location right by Dixon Mills on the corner of Varick and Columbus, is more focused on the deli side of their store than the convenience side of it (although they do have a good and well-priced selection) and it shows. The deli counter is the first thing you really see when you walk in and once you start to look around, it's hard to miss the large chalkboards up on the wall listing all the available Boars Head meats, cheeses and other sandwich toppings they offer. The bread selection is pretty standard - rolls, heros, sliced bread but every time I've been there, they've been fresh which is already a pretty important step in the right direction.